positioning of personalisation positioning of personalisation (required)personalisation applied onto the INSIDE of the lid (+ £10)personalisation applied onto the OUTSIDE of the lid (+ £10)personalisation applied in GOLD onto the OUTSIDE of the lid (+ £11)personalisation applied in SILVER onto the OUTSIDE of the lid (+ £11)I don't want this item personalised thanks. positioning of personalisation (required)personalisation applied onto the INSIDE of the lid (+ $18.16)personalisation applied onto the OUTSIDE of the lid (+ $18.16)personalisation applied in GOLD onto the OUTSIDE of the lid (+ $19.97)personalisation applied in SILVER onto the OUTSIDE of the lid (+ $19.97)I don't want this item personalised thanks. positioning of personalisation (required)personalisation applied onto the INSIDE of the lid (+ €11.79)personalisation applied onto the OUTSIDE of the lid (+ €11.79)personalisation applied in GOLD onto the OUTSIDE of the lid (+ €12.97)personalisation applied in SILVER onto the OUTSIDE of the lid (+ €12.97)I don't want this item personalised thanks. positioning of personalisation (required)personalisation applied onto the INSIDE of the lid (+ $14.50)personalisation applied onto the OUTSIDE of the lid (+ $14.50)personalisation applied in GOLD onto the OUTSIDE of the lid (+ $15.95)personalisation applied in SILVER onto the OUTSIDE of the lid (+ $15.95)I don't want this item personalised thanks. 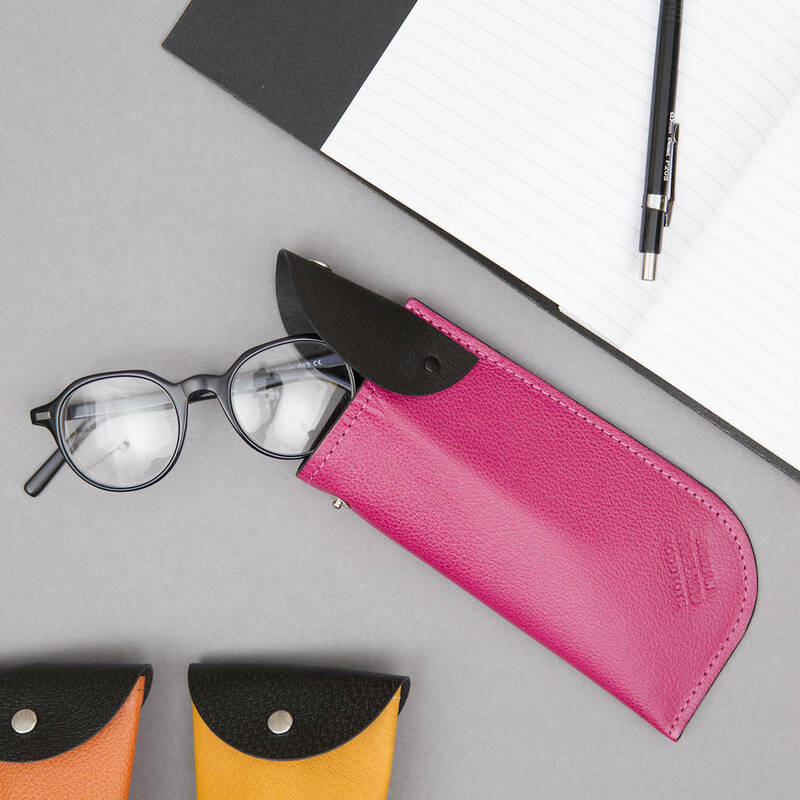 A fun and unique leather case for reading glasses/small sunglasses that gives an alternative, but strong and practical solution to a bulky metal case. 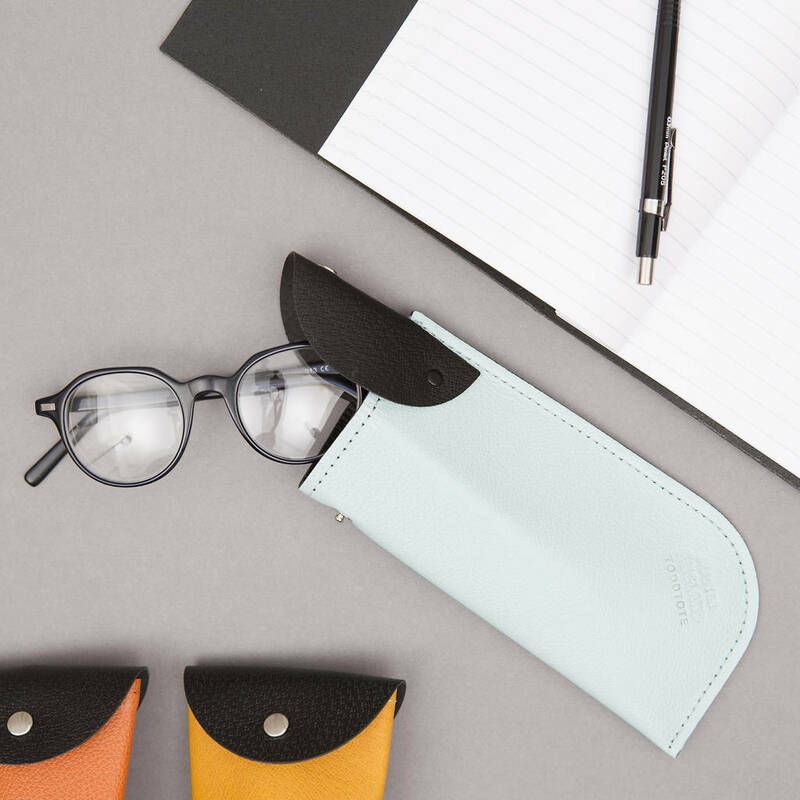 This intrigingly designed bespoke leather case gives both support and protection to the glasses. Reminicient of origami-esque' construction the strong 'backbone' of the leather seam makes the case sturdy and protective it use, while flolding neatly flat when the glasses are being used. 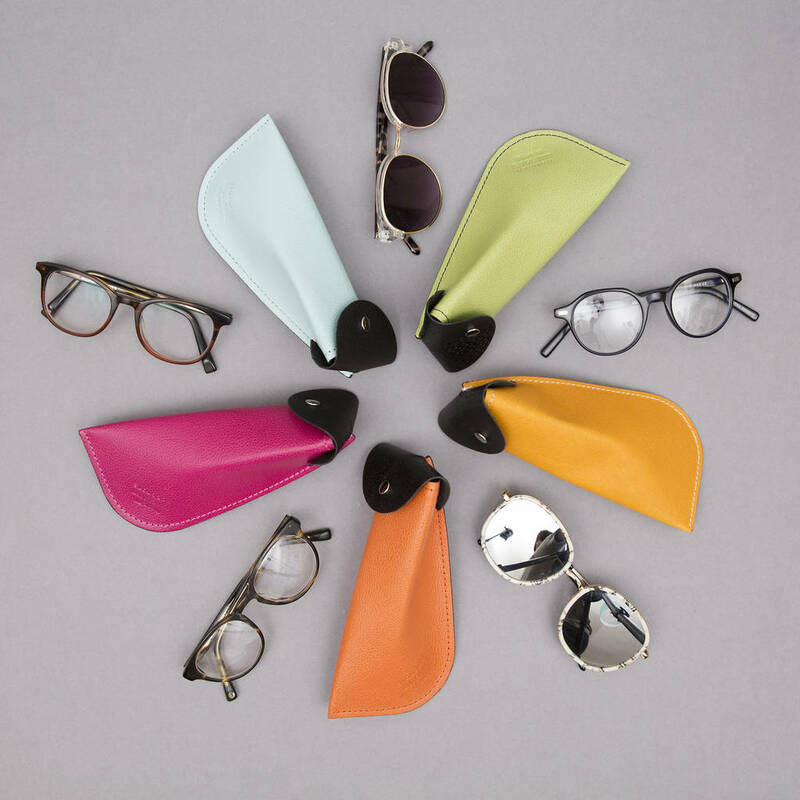 The tactile design fits comfortably into the palm of the hand when the glasses are inserted, but is just as easily carried in a bag or large pocket too. 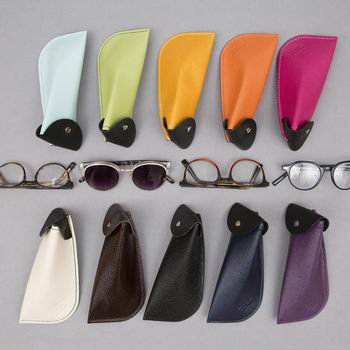 The case has a soft suede lining in a range of bright or muted colour options. 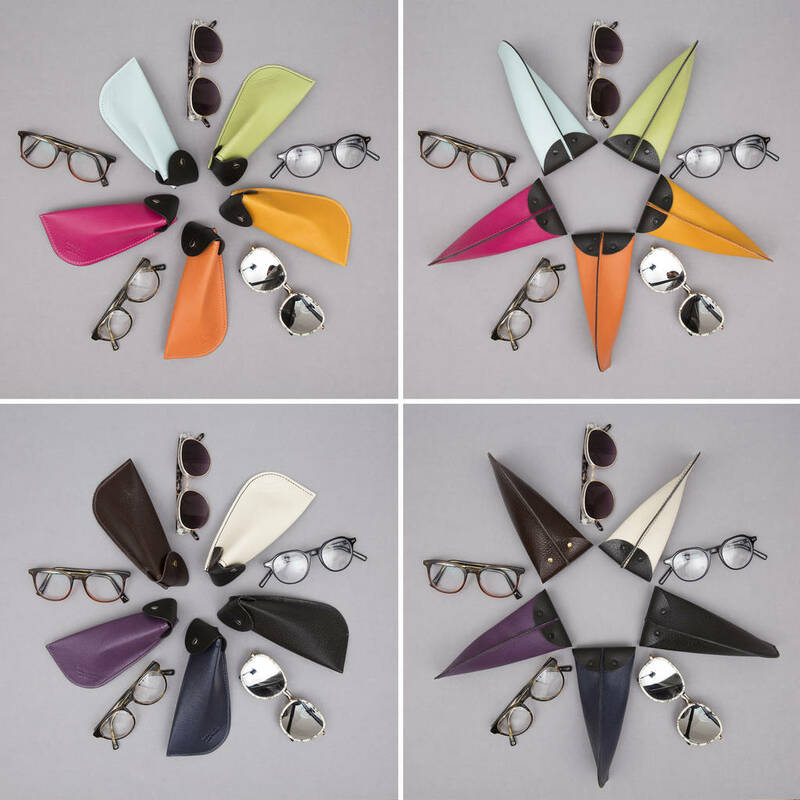 The many combinations can be an ideal gift for the person who likes to have different case for each pair of glasses. If buying this item to accomodate sunglasses please check the dimensions of the case, related to the dimensions of the glasses. 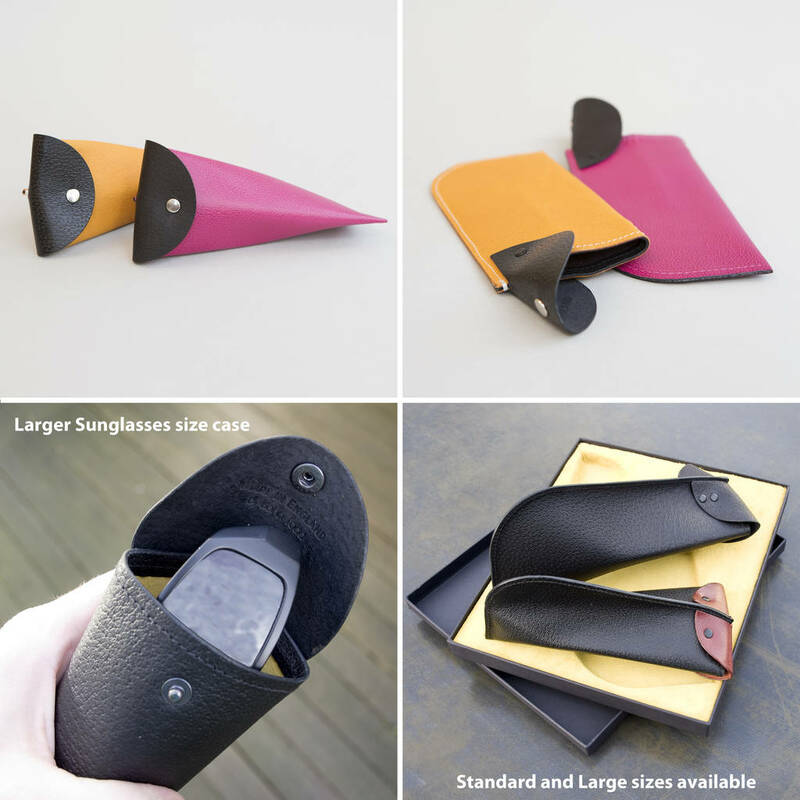 For large or large bulky wrap-around sunglasses please see our 'Large Sunglasses case' listing. 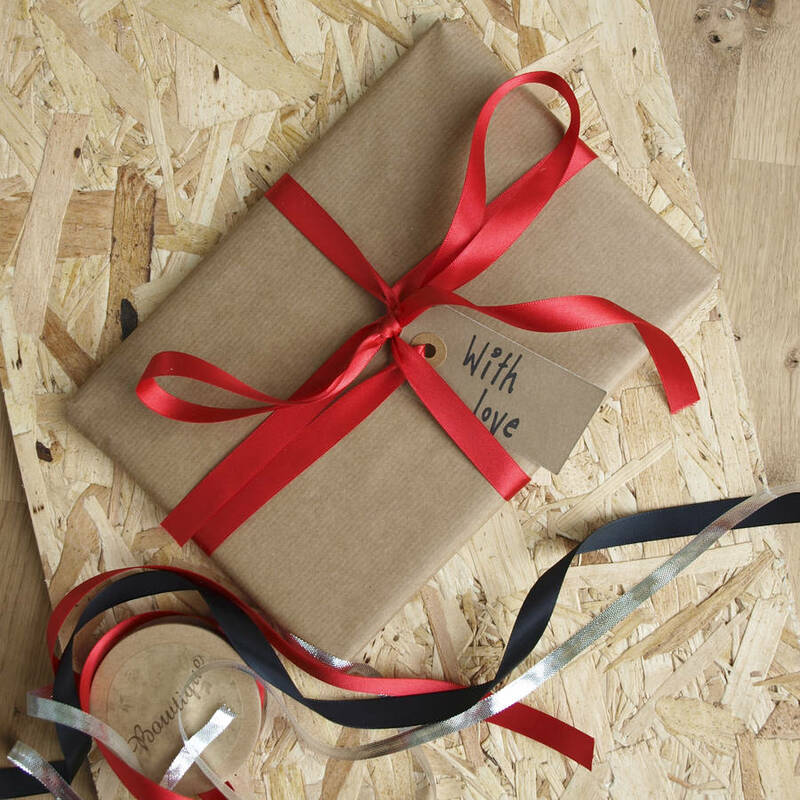 The case lid can be personalised with a monogram or short name. (Please note that due to the hand-stamped nature of this service, character placement and spacing may vary from examples shown). 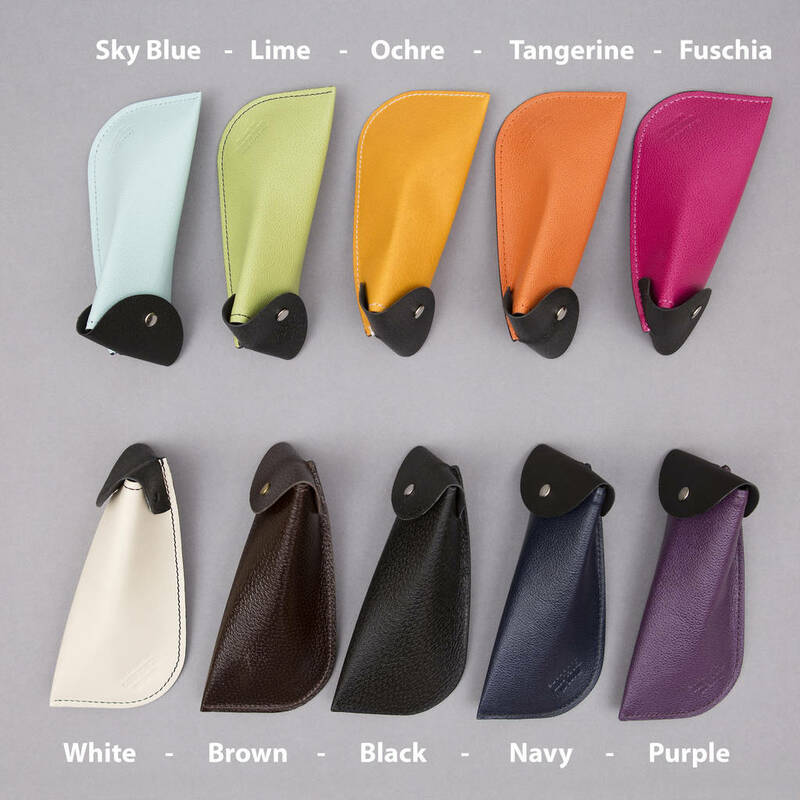 See images and drop-down menus for Leather colour combinations for the main body and suede colours for the lining. The case lid is either black or brown. A gentle leather nourishment treatment can be used on the exterior leather, but we do not recommend this for the suede interior. Leather and suede - NB: As an organic material leather has unique features and textures. 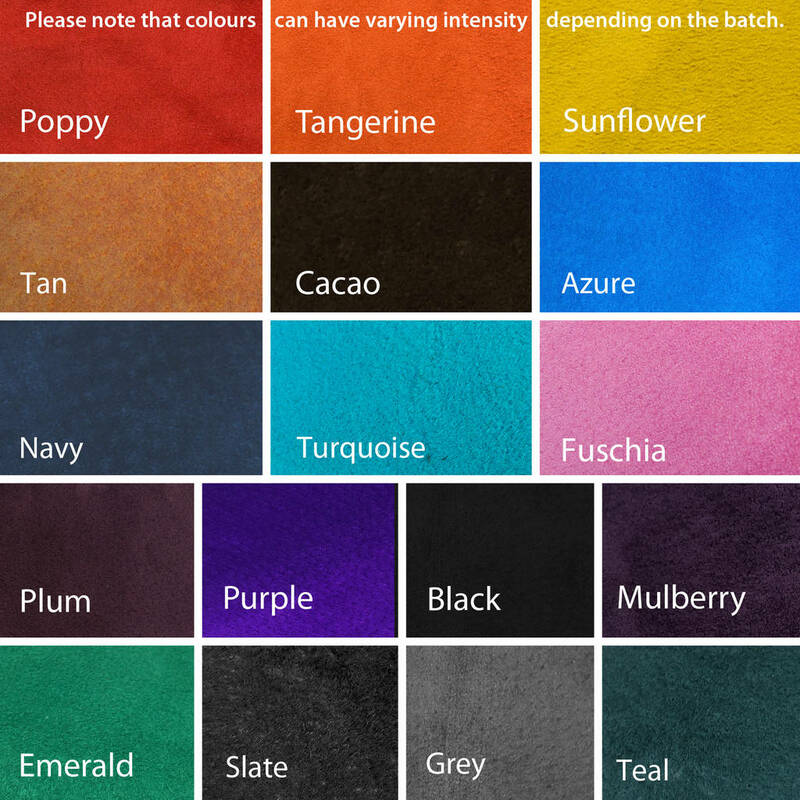 Our leather is a high quality 'top surface' leather and although we have very high standards when it comes to sourcing the leather, your item may have variations of texture & tone from the images shown. This product is dispatched to you by Johny Todd Ltd.